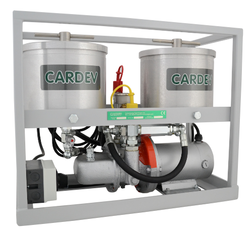 We offer standard as well as customize Hydraulic Oil filtration system to suit customer application requirements. These units, are designed, developed and manufactured on custom built requirements using high grade raw materials and components meeting international design standards. - Pressures upto 10 bar. - Flow upto 200 lpm. Our clients can avail from us a wide collection of best quality Hydraulic Oil Filter. These products are made from high quality components. With years of practice of this industry, we are offering a wide series of Hydraulic Oil Filter. We provide this product in different specifications at nominal costs. 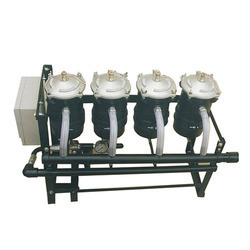 Hydraulic Oil Filtration System BU 100 , cleaners that connect directly to the high pressure line. - Very compact and light Hydraulic oil cleaners. - Connects directly to the high pressure line. No motor and pump necessary. - Designed for hydraulic systems up to 350 bar system pressure. We are offering element type hydraulic filters with 1 pre filter and 1 fine filter. Elements are available from 100 micron to 1 micron. Flowrate of the system is from 5 LPM to 20 LPM. This is very compact and easy to use plug and play offline system. It can be move from tank to tank for cleaning purpose. Doon have a specialized team of engineers that fabricate a wide range of hydraulic oil filtration unit.